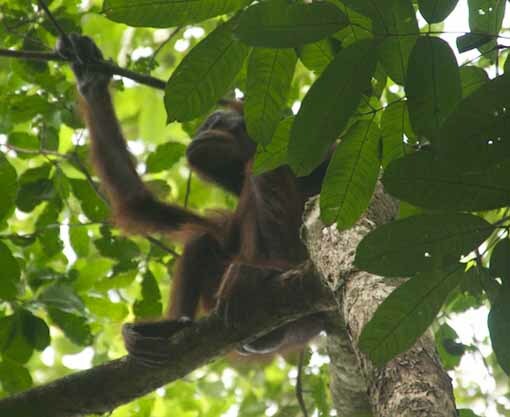 There are some good options to see Orang Utans in Kalimantan. But most of these options are not really natural. They are in sanctuaries where the animals are held in semi natural conditions. Most people go there because this is a guaranteed way to see one of these forest persons (Orang Hutan/Utang means man of the forest in Bahasa). 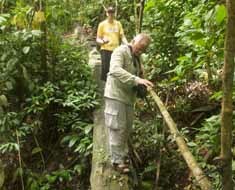 But there is a better option: Kutai National Park. This park has about 35 Orang Utans living in a small piece of forest located on a river near Sangatta. There are easy (flat!) tracks through the forest and a 2 day visit almost guarantees you a sighting (they are wild animals so can decide to not show up). The park has been hit by the large forest fires in 1998 but the walks are really beautiful, it is worth the visit alone. We also saw a very nice Tarantula, some frogs, macaques, a very big lizard, rhinobirds and nice colorful insects. We also saw where we came for: a female Orang Utan. We encountered her just when she started making her nest for the night. We waited for her to sleep and decided to get back the following day to see her get up and follow her for a while. We saw her getting up, pee and go out for food. This all quite close. This was really fenomenal and gave a beautiful insight in the life of this wonderful creature! The main access is through the town of Sangatta (a four hour ride from Samarinda passing Bontang). We organised our access locally which wasn’t very easy because nearly nobody on the street had ever heard of the park. But might you want to try, take a Bemo or bus from within Sangatta to Camp Kapap (aka Papa Charly). From there you can arrange a boat to the park. There aren’t that many boats so you should ask around a little. In the park is a simple ranger house. It has 2 rooms, a kitchen and a toilet / mandi (Indonesian version of a shower). You can rent one of the rooms (which sleeps 4 on thin matrasses and has a mosquito net) for 150.000 rupiah a night. You have to bring your own food and water. There is power for about four hours in the evening. when did you visit Kutai? I’m just trying to compare your information with the information I find on the internet to see which mobile phone number for the park rangers are the most recent. Papa Charlie is in Kabo Jaya village. 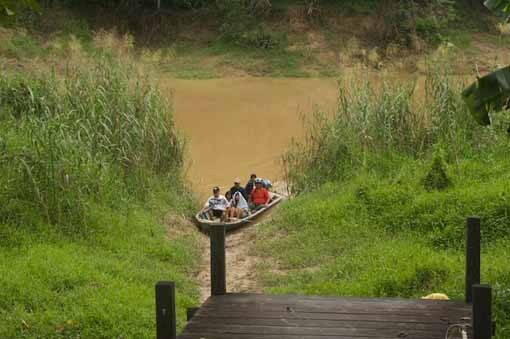 Some people in the village organize an eco-tourism including visiting the park. There are some rooms for rent in the village. A room cost 120,000 rupiah a night including traditional breakfast. A lunch costs 25,000 rupiah and a dinner costs 25,000 rupiah. 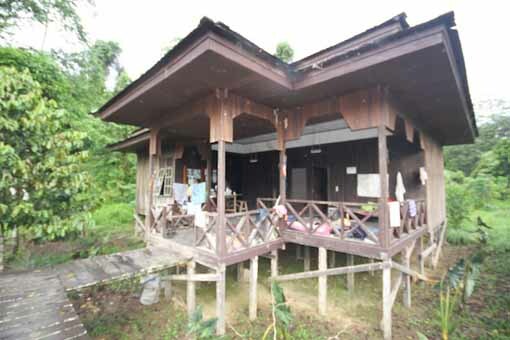 Things you can see in the village is Torajan house, traditional farming and fishery, and a lot more. @Ricky, thanks for the addition. I liked staying in the park itself but home stays can also be rewarding!